One of the great things about our Stadium Project is when someone else sends me photos. 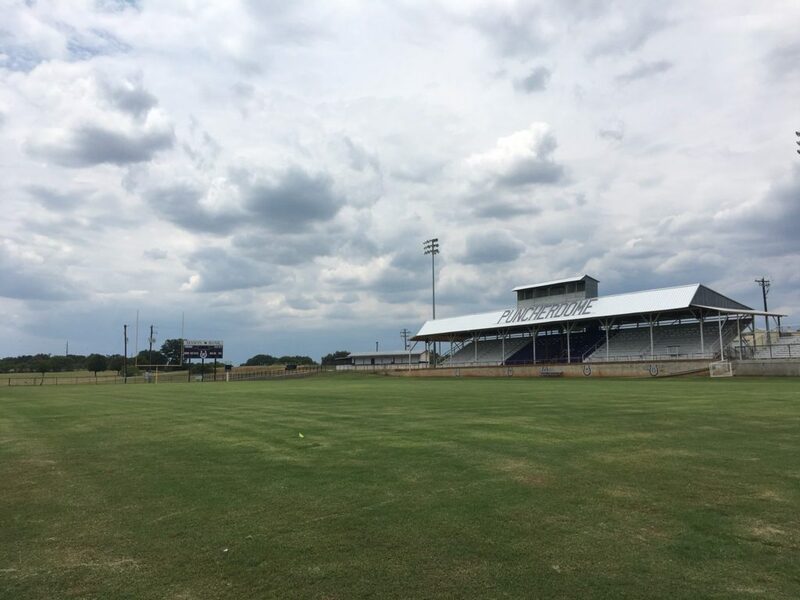 My good friend Mark Ball, who earlier this year was put into the Texas High School Athletic Director’s Hall of Honor, recently sent me a couple of photos of the Puncher Dome in Mason, Texas. Officially, it’s R. Clinton Schulze Stadium that is known for its iconic overhang on the home stands, but it’s affectionately known as the Puncher Dome. The stadium seats 2,000 fans to watch the Mason Punchers and their opponents. San Clemente Tritons – Quarterback U?